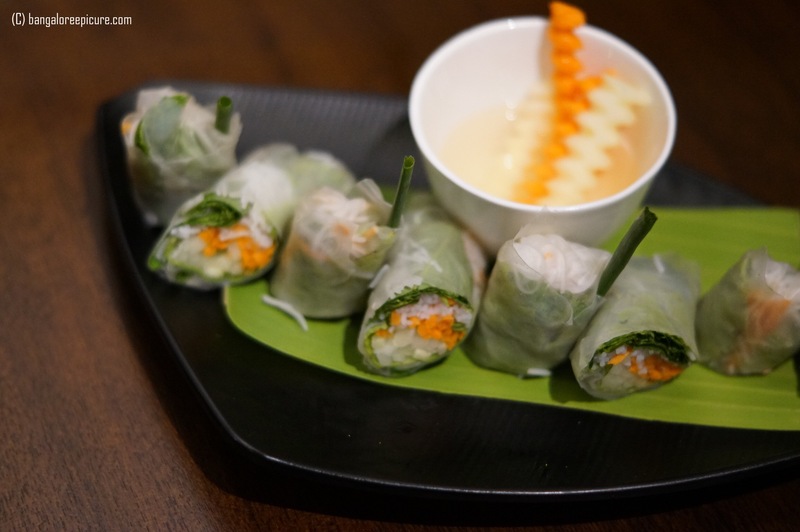 Vietnamese Cuisine is one of the most recognized and well-known across the world. The food is basically a combination of fragrant, taste and color. Many Vietnamese dishes include five fundamental taste senses (ngũ vị): spicy (metal), sour (wood), bitter (fire), salty (water) and sweet (earth), corresponding to five organs (ngũ tạng): gall bladder, small intestine, large intestine, stomach, and urinary bladder. The cuisine is not new for folks in Bangalore. Since, one of the most popular hotels housed a Vietnamese restaurant, which is even famous and appreciated by lot of patrons. Though there are very less Vietnamese restaurants in the town, still the cuisine hasn’t lost the charm. Recently, I was invited by Hanoi Restaurant to experience their newly introduced Vietnamese style BBQ Chicken & Lamb, which are most commonly available across Vietnam in the form of street food. The house was restricted to some great critics in the city. It’s always a great experience to understand and taste food when well-known critics are around. I was one of the luckiest people to dine along. What is Vietnamese Style BBQ? As I mentioned before, the Vietnamese Cuisine have ingredients like lemongrass, Galanjal, Five Spice Powder in most of the dishes. Hanoi introduced Lemon Grass BBQ Chicken and 5 Spice BBQ Lamb. 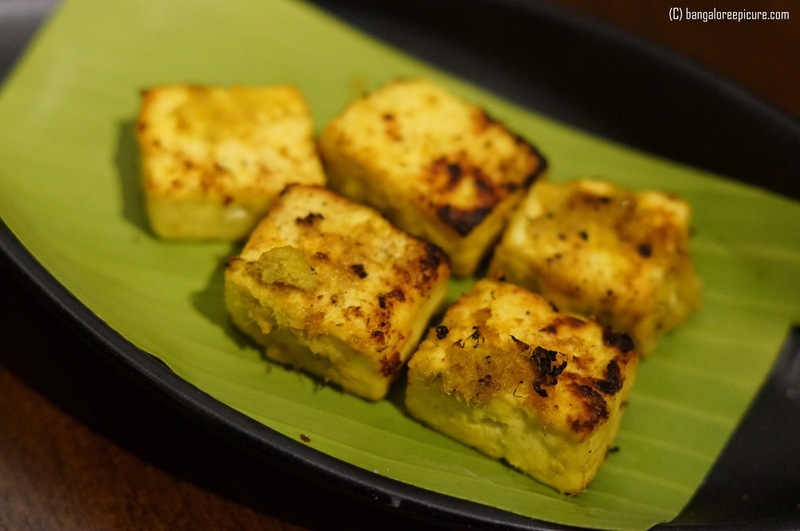 They have gone extra mile and prepared Lemon Grass BBQ Paneer and 5 Spice BBQ Paneer for some of us to get the flavors. I was too impressed with the 5 Spice dish more than the other one. 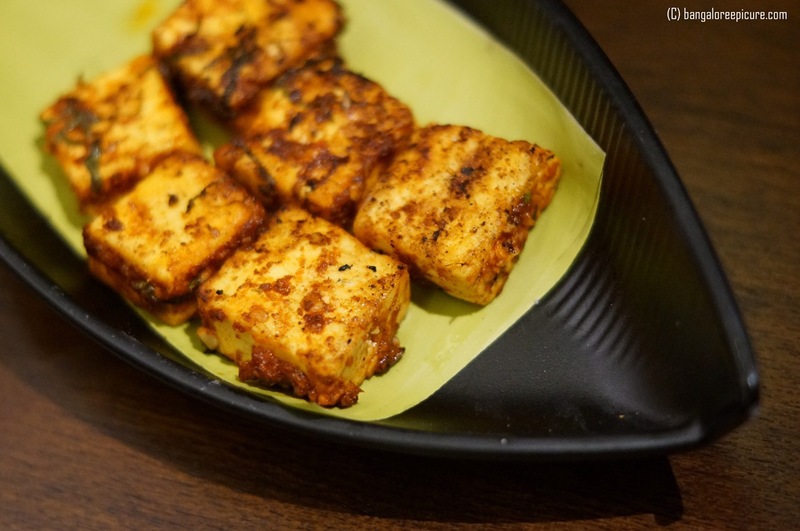 Please note, the Paneer is not available on the menu and I don’t think they will be preparing these dishes on request too. According to my Non Vegetarian friends, the 5 spice BBQ lamb was the show stopper. The dinner was extended to some of the signature in-house dishes like Rice Paper Rolls, Papaya Salad, Mango Salad – These were such a refreshing to beat the summer heat. I thoroughly enjoyed these dishes with Soya Chili sauce. One of my friends recommended the Veg Turmeric Fried rice with Tamarind Curry and Veg Coconut Sticky rice with Vietnamese Curry. 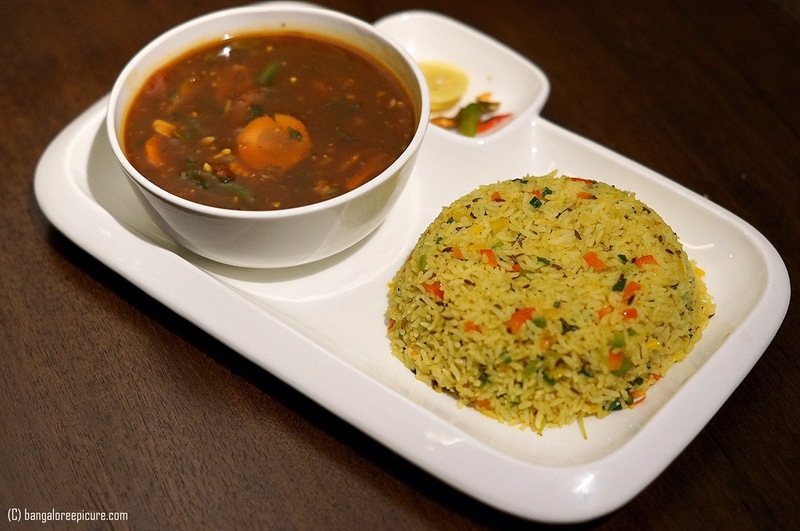 The turmeric rice was simply superb and complemented well with the sourness of Tamarind Curry. The gravy was yet flavorful with the infusion of lemon grass. Veg Coconut Sticky rice was another fabulous dish and tasted really good. 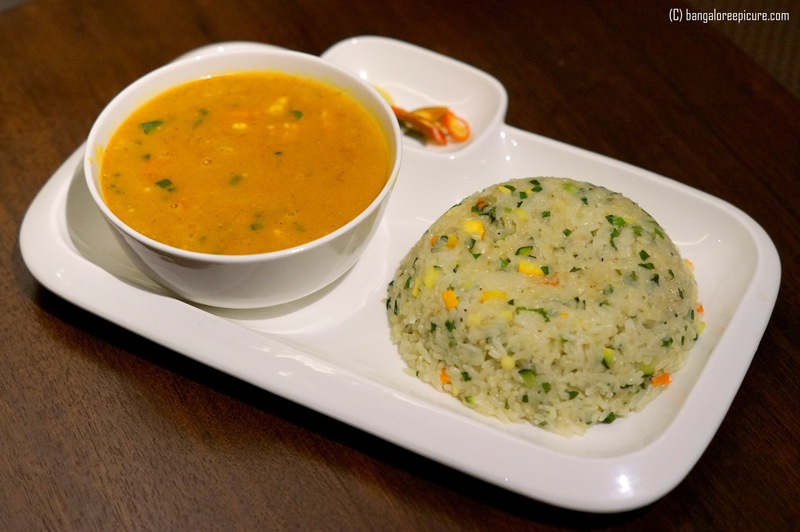 The rice was well cooked with vegetables and coconut. 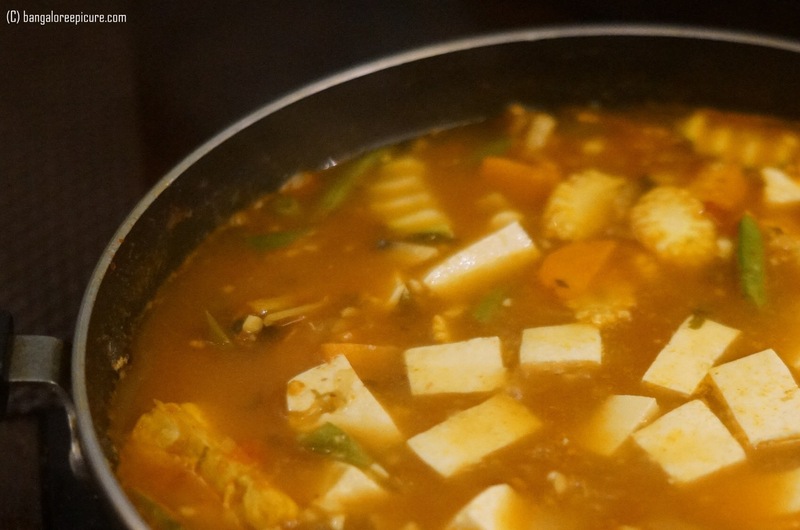 The Vietnamese Curry made out of 5 Spice and some vegetables was the perfect combination to go with Sticky Rice. 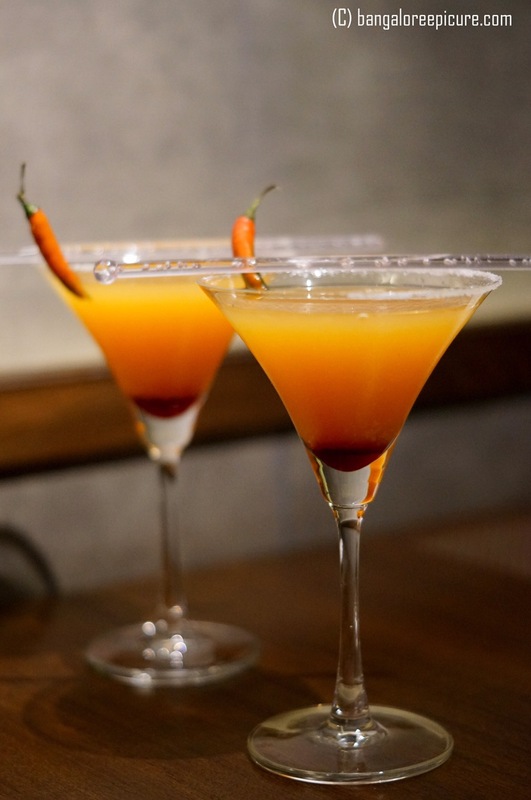 While indulging these dishes, Spicy Ginger Chili Punch kept our thirst away. A must try drink at Hanoi. The Main Course Lau Thai was arrived on the table and somehow I was not impressed. However, all my friends totally appreciated the same. As I said in the beginning, the cuisine is completely subjective. I was completely overwhelmed with Red Wine with Fig and Lemon Grass flavored Ice Cream to adieu the evening and the fabulous Hanoi.